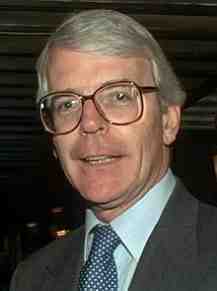 Newly-released government papers reveal that prime minister John Major considered abrogating from the European Convention on Human Rights if it ruled against Britain in a case involving the film Visions of Ecstasy being banned for blasphemy — Visions of Ecstasy. Documents also revealed that Major was an admirer of Mary Whitehouse.Nigel Wingrove’s 18-minute film depicted Carmelite nun St Teresa’s sexual fantasies about Jesus on the cross, and it was banned by the BBFC, making it the first and only film to be banned in the UK for blasphemy. Actually it turned out that the UK’s blasphemy laws were backed by the ECHR when it threw out Wingate’s challenge two years later.